The total disbursement of foreign direct investment (FDI) in Vietnam reached an estimated US$14.2 billion in the first ten months of 2017, up 11.8% annually, according to the Ministry of Planning and Investment. During the period, Vietnam attracted US$28.24 billion, both through investment in new projects and additional pledges to those already in progress, up 37.5% compared with the first ten months of last year. Manufacturing remained the largest attractive sector to foreign investors, accounting for almost half of the FDI commitments during the January-October period, followed by power generation and distribution with almost 20% of the total. The property sector came in third with US$2.04 billion or 7.2% of the FDI pledges. The Republic of Korean continued its reign as the largest foreign investor in Vietnam at US$7.62 billion worth of pledges, with Japan and Singapore trailing behind at US$6.07 billion and US$4.59 billion respectively. A breakdown of FDI destinations shows Ho Chi Minh City was the largest recipient, luring US$5.03 billion in investments. 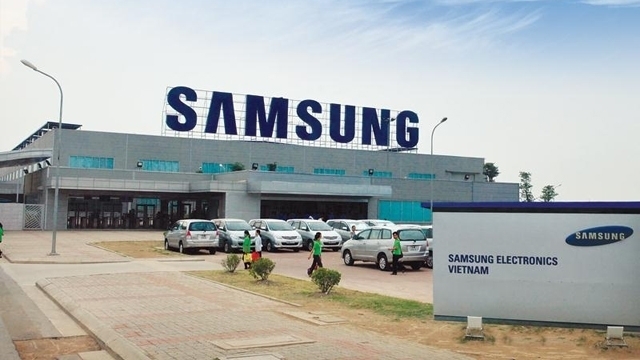 The northern province of Bac Ninh climbed to second position in attracting FDI at US$3.19 billion, sending the northern central province of Thanh Hoa to number three at US$3.16 billion. According to the Ministry of Planning and Investment, the foreign-invested sector exported US$125.49 billion worth of goods, including crude oil, which is equivalent to 72.2% of Vietnam’s total export revenues in the January-October period.